It's easy to become confused by all the different wine terminology. However, most of the confusion can be cleared up by knowing a few key wine definitions and terms. Print the PDF version for a printable copy of the most common wine terminology to use at your next wine tasting. If you need help downloading the printable version, check out these helpful tips. Appellation - A designated wine growing area governed by specific rules regarding the wine grapes grown and wine produced in the specific appellation areas. Breathing - When wine is decanted, allowing it to react with air. Designation - A controlled area of wine production that is governed by laws specific to the production of wine in that area. Late Harvest - Late harvest wines are made from grapes that are picked at the end of the wine growing season. Waiting until the end of the season allows the grapes to ripen further, resulting in a higher sugar content. The most common example of late harvest wines are dessert wines. Lees - The seeds, stems and skins of the grape. Maceration - The part of the winemaking process in which the lees are steeped and interact with the wine must. This process extracts tannins, phenol compounds and fruit flavors. New World - A term often used to refer to wines not produced in Europe. Oenology - The study of wine and wine making. Old World - European wines made from vineyards that were established many years ago. Oxidation - Wine that has spoiled or gone bad, due to exposure to air. Premier Cru - Translated as "first growth," Premier Cru wines are one of the highest classed growth wine in France, second only to Premier Grand Cru. Non-Vintage - Wine made from grapes harvested from a combination of years and/or a combination of vineyards. Residual Sugar - The amount of sugar left in wine after the fermentation process. Sommelier - A sommelier is a person that has extensive wine knowledge through training, classes and certification. Tannins - Tannins are caused by the lees (seeds, stems and skins) of the grape. Terroir - Refers to the soil in which the wine grapes are grown. The terroir imparts its flavors into the wine. Vintage - Refers to the year the grapes were harvested for a particular bottle of wine and not the year the wine was bottled. Vitis Vinefera - A term used for wine grapes. Wood Aging - Refers to when wine is aged in wood barrels. Wood aging lessens tannin and acid levels, "softening" the wine. The wood of the barrel also contributes flavor characteristics. Acidity - Flavors from the natural grape acids as well as the acids created during the fermentation process. Backward - This term is used to describe wine that is high in alcohol content and tannins. Big - Used to describe full bodied wines that fill and coat the palate. Balanced - A wine that strikes a balance between acidity, tannic structure and fruit flavors. Bouquet - The overall smell a wine gives off after being poured into the glass. Complex - A positive term used to describe a wine that has many taste and aromatic qualities. Earthy - A term used for wines in which its flavor and aromatic characteristics reflect that of the terroir in which it was grown. Fading - When a wine is described as fading, it means it is losing its color, body and flavor characteristics. Finish - Used to describe how long the flavors of the wine stay on the tongue after it's swallowed. Flabby - A negative term used to describe wine lacking in acid structure. Flinty - Used to describe wine that denotes flavors aromatic characteristics of metal or steel. Heady - Used to describe wine that has a high alcohol content and an overwhelmingly alcoholic aroma. Mouth feel - Refers to how the wine feels when held in the mouth. Masculine - A descriptive term used to explain a big, full-bodied wine. Supple - A descriptive term used when referring to wine that has a balance of fruit flavors and tannic structure. Tannic - A wine described as tannic has dry mouth feel. Texture - A term often used to describe the weight and sensations of the wine on the palate. 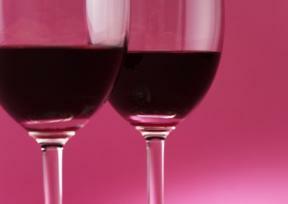 Velvety - Refers to a wine that is rich in flavors and texture. It seems like a lot of wine terminology to remember, but as you use and hear them more and more often, they become easier to remember. You may find that as you expand your wine terminology knowledge you will also expand your overall enjoyment of wine.